Eckington School entered a team of students in the greater Sheffield Bouldering Competition this term. 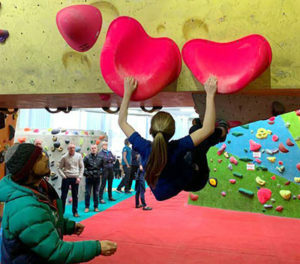 The team were: Kira S, Jake N, Annabel W, Darcie B, Casey L S, Hannah R and Carys H.
The competition, held at The Climbing Works, saw teams of male and female students enter from a variety of local schools. The qualification round consisted of eight specifically-set boulder problems. Points were scored on how many of the eight climbs get topped in the least amount of attempts. Our student’s training and hard work paid off as February saw the team placed in the top 10, securing them a place in the final. The finals took place on Thursday 7th March from 1.00pm – 3.30pm, all our students did extremely well. 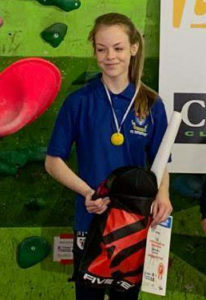 Eckington’s Kira S went on to win the overall competition – well done Kira!